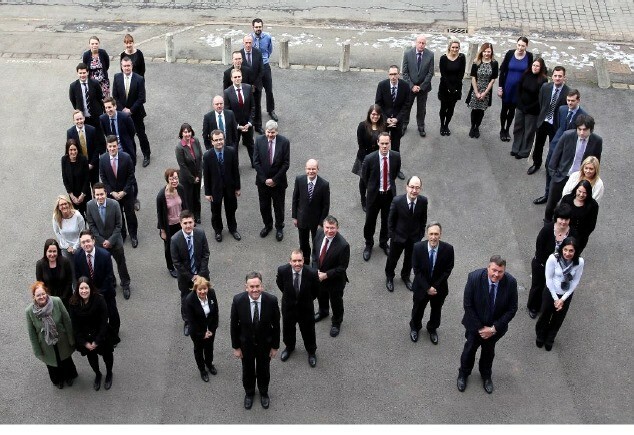 Hawsons makes history after 160 years! Hawsons is one of the oldest firms of independent chartered accountants in England. 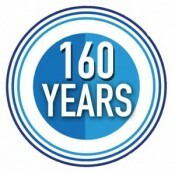 Formed in December 1854, Hawsons celebrates 160 years of providing expert advice to businesses of all types and sizes. Our clients know that irrespective of how small they are when they become a client or how large they grow; Hawsons will always be there for them. With around 100 staff across our 3 offices, Hawsons provides the breadth of expertise of some of the largest firms of accountants. Just as importantly, Hawsons also provides the highest quality of service and personal delivery of a local independent firm that is increasingly sought after by today’s successful business owners. George Hawson was four years old when the firm that now bears his name was founded. At the age of 16 he was teaching at his old school, Ashley House in Worksop and planning a career in the Ministry of the Church of England. However, a serious illness persuaded him that he needed to adopt a less strenuous vocation …. accountancy. He enrolled as a clerk to Alfred Allott who had built up what The Accountant magazine described as “one of the most important practices in the North of England”. In 1854, over a quarter of a century before the creation of the Institute of Chartered Accountants in England and Wales, at a time when Sheffield had more straw hat makers than accountants, Allott left the employment of The Sheffield and Hallamshire Bank after 13½ years, the directors recording in the bank’s minutes “the high opinion they entertain of his ability, industry and conduct”. “Gentlemen – I beg respectfully to inform you that I have taken into partnership Mr Alfred Allott … whose business qualities, urbanity and manners, strict integrity and extensive commercial experience peculiarly qualify him for the position of Public Accountant and Confidential Agent”. And so, as Hewett and Allott, the firm began in Central Chambers in Sheffield High Street, in December 1854. Over the next 20 years Sheffield grew more rapidly than any other town in the country on the back of its burgeoning steel and engineering industries, fuelled by local coal and serviced by developing railways. And whilst Hewett left to become the first company secretary of John Brown & Co when it incorporated in 1864, the practice continued to develop. By the early 1870s Alfred Allott was a widely known and respected figure. He was the auditor of the Midland Railway and was a specialist in the financing of railways and collieries; called in to investigate the affairs of the Scottish Caledonian Railway when it ran into trouble. With the introduction of limited liability he promoted many local publicly quoted companies – Midland Iron Company; Truswell’s Brewery; Samuel Fox; Davy Brothers; Joseph Rodgers; William Cooke, Brown Bayley and Dixon; Joseph Peace and Sheffield Forge and Rolling Mills to name but a few. Elected to the Town Council in 1867 he became one of twelve Alderman in 1873 and was put forward as a local parliamentary candidate for the Liberal party. He sat on the School Board and was prominent in the local Congregational Church providing land and funds for the building of several chapels. But this highly respected establishment figure, like many of his era, could not resist risk. Besides his accountancy practice, he owned a colliery at Pitsmoor, Renishaw Iron Works at Eckington, the Newbridge Iron Ore Company in Northamptonshire and a mine in Cornwall. And then he borrowed to invest £132,000 – many millions in today’s money – in land in far away Tennessee and Georgia, in the USA. He had hoped to exploit the land for its mineral wealth, but a prolonged worldwide slump followed, and in November 1876 Allott went bust. This is where George Hawson came in; with Allott resigning from his accountancy practice with his then partners Thomas Hadfield and John Kidner and Hawson appointed partner in his place. In an age where scandal meant ruin, surprisingly bankruptcy often attracted sympathy, perhaps because it happened to so many around that time, including the Lord Mayor. Within months Allott returned to the partnership and the firm moved to what were described as ‘sumptuous’ premises at Hartshead in 1878, where it was to stay until 1970. He was the first President of the Sheffield Institute of Accountants in 1877 and, three years later, a founder council member of the National Institute. By then he had moved to London, and by 1882, with Thomas Hadfield having set up on his own and John Kidner having moved to Northampton, Hawson was the sole partner remaining. Hawson’s son Grafton joined the practice and when George retired in 1919, aged 69, Grafton merged firstly with Edgar Jenkinson and in 1926 with Hubert Nicholson. 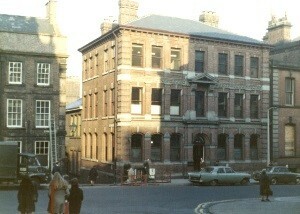 Subsequent mergers with long established Sheffield firms, A. Leslie Wing & Co. in 1946 and Hubert Smith in 1963 set the foundations for the current Sheffield office. In 1986 the firm moved to Northampton by joining up with Dutton & Co, and in 1990 merged with Harold Moon & Taylor in Doncaster. The latest merger took place just over a year ago with another long established and well known Sheffield firm, Holmes Widlake. Find out more about Hawsons here.